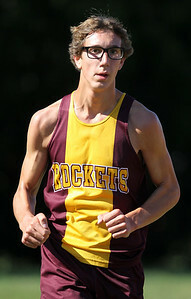 Area high schools competed in the Ryan Byrne Fest 2012 Saturday, September 15, 2012 at Emricson Park in Woodstock. Mike Greene - mgreene@shawmedia.com McHenry's Kevin Larsen runs in front of Harvard's David Anaya during Flight 5 of the Ryan Byrne Fest 2012 Saturday, September 15, 2012 at Emricson Park in Woodstock. Larsen took second place in the flight while Anaya finished in fifth place. Mike Greene - mgreene@shawmedia.com Woodstock's Hannah Jacobs runs near the finish line during Flight 5 of the Ryan Byrne Fest 2012 Saturday, September 15, 2012 at Emricson Park in Woodstock. 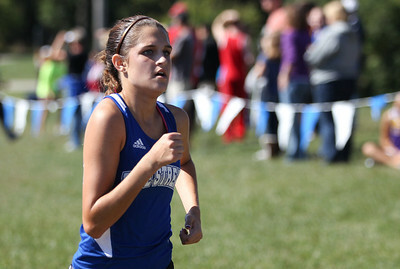 Jacobs took fourth place in the girls section of the flight. Mike Greene - mgreene@shawmedia.com Richmond-Burton's Benjamin Gardner runs during Flight 5 of the Ryan Byrne Fest 2012 Saturday, September 15, 2012 at Emricson Park in Woodstock. Gardner took first place in the flight. Mike Greene - mgreene@shawmedia.com Marian Central's Jessica Biggins runs during Flight 5 of the Ryan Byrne Fest 2012 Saturday, September 15, 2012 at Emricson Park in Woodstock. Biggins finished in third place in the girls section of the flight. Mike Greene - mgreene@shawmedia.com Woodstock's Lacey Heaver runs towards the finish line during Flight 4 of the Ryan Byrne Fest 2012 Saturday, September 15, 2012 at Emricson Park in Woodstock. Heaver took first place in the girls section of the flight. 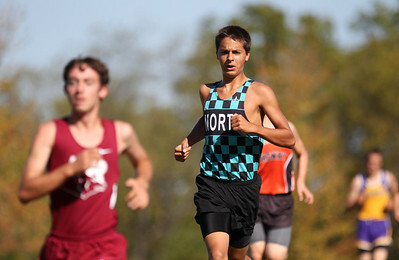 Mike Greene - mgreene@shawmedia.com Woodstock's Andy Layoff kicks towards the finish line while being trailed by Marian Central's Michael Lyons during Flight 5 of the Ryan Byrne Fest 2012 Saturday, September 15, 2012 at Emricson Park in Woodstock. 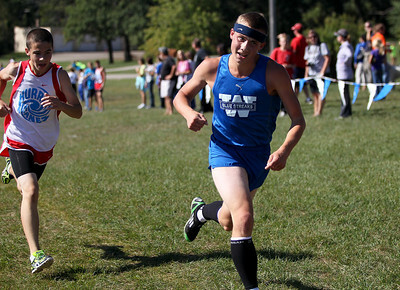 Layoff finished in eighth place in the boys section of the flight with Lyons taking ninth. Mike Greene - mgreene@shawmedia.com Woodstock North's Zach Delgado runs during Flight 5 of the Ryan Byrne Fest 2012 Saturday, September 15, 2012 at Emricson Park in Woodstock. 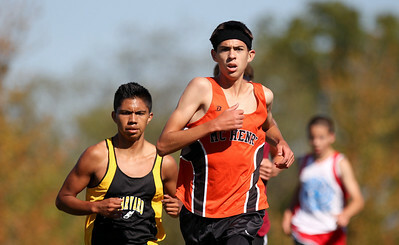 Delgado finished in seventh place in the boys section of the flight. 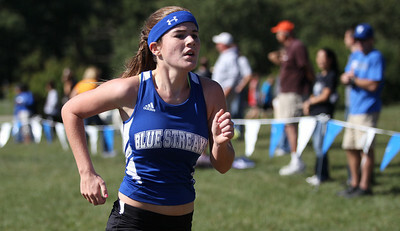 Mike Greene - mgreene@shawmedia.com Prairie Ridge's Ashley Duda runs near the finish line during Flight 5 of the Ryan Byrne Fest 2012 Saturday, September 15, 2012 at Emricson Park in Woodstock. Duda took second place in the girls section of the flight. Mike Greene - mgreene@shawmedia.com Runners take off at the start of Flight 6 of the Ryan Byrne Fest 2012 Saturday, September 15, 2012 at Emricson Park in Woodstock. 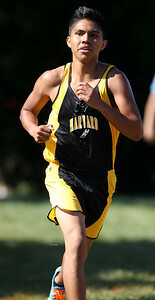 Mike Greene - mgreene@shawmedia.com Harvard's David Anaya runs during Flight 5 of the Ryan Byrne Fest 2012 Saturday, September 15, 2012 at Emricson Park in Woodstock. Anaya finished in fifth place in the boys section of the flight. Prairie Ridge's Ashley Duda runs near the finish line during Flight 5 of the Ryan Byrne Fest 2012 Saturday, September 15, 2012 at Emricson Park in Woodstock. Duda took second place in the girls section of the flight.